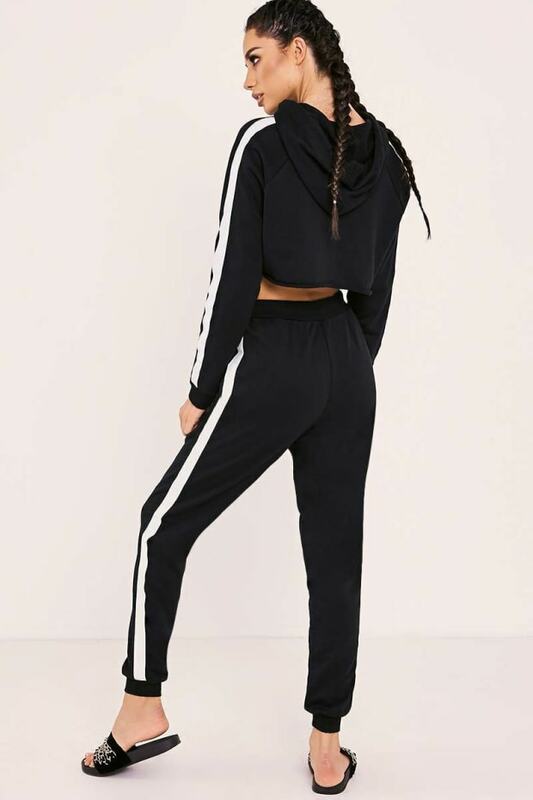 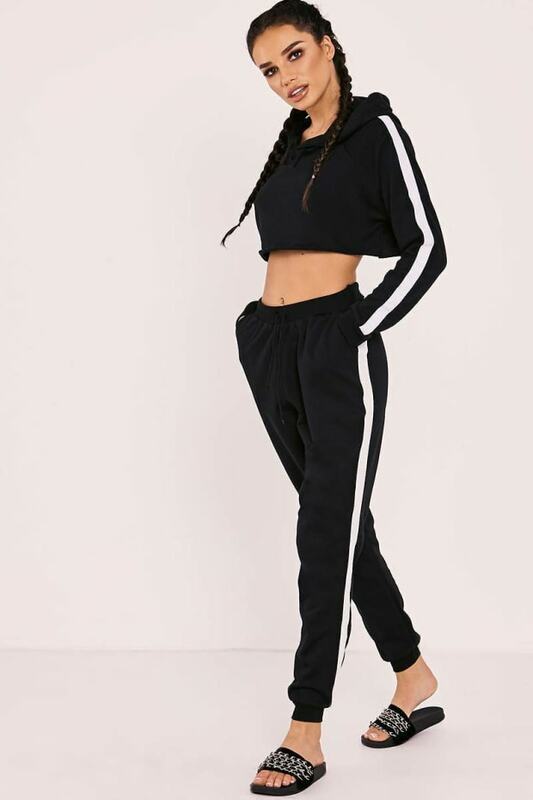 Get the perfect off duty look with these hawt joggers! 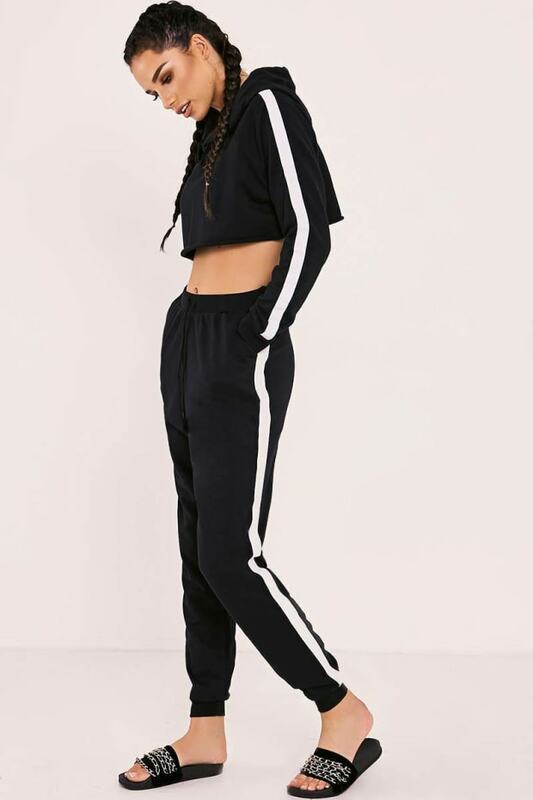 In classic black featuring an elasticated waist, white stripe detail and tapered design, we are totally obsessed with these! 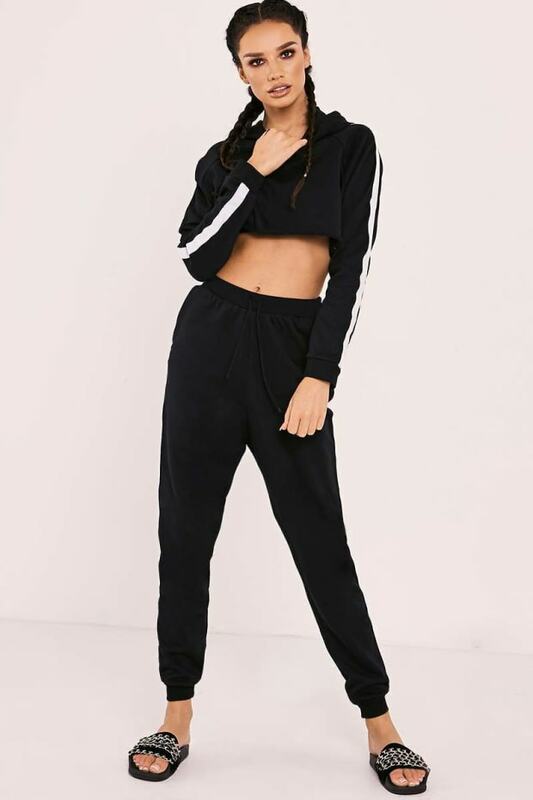 Team with the matching cropped sweatshirt and get ready to lounge in effortless style.